For two weeks and counting, survivors of the Broward County, FL school shooting on February 14, 2018, have made national headlines. 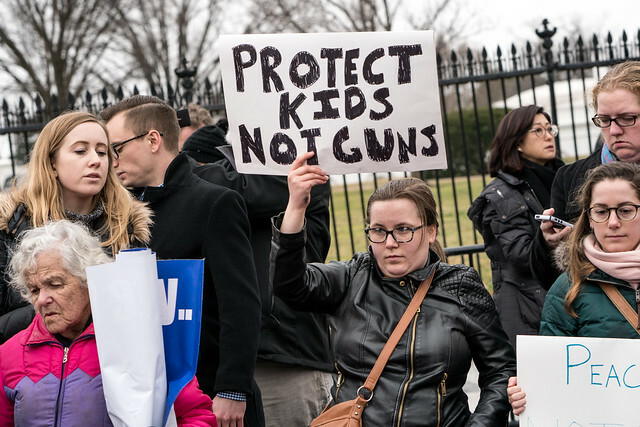 Thanks to their ongoing efforts to leverage social networks, organize demonstrations and walkouts, and engage elected officials in public debate, they have successfully kept the issue of gun violence front and center in the national conversation. Whether or not this sustained attention results in lasting cultural or legislative change remains to be seen. However, their activism is notable for that achievement alone: of all the mass shootings that take place in the U.S., few, if any, make news for so long. Even fewer have been followed by such focus on the voices and demands of the survivors in place of discussion of the perpetrator. 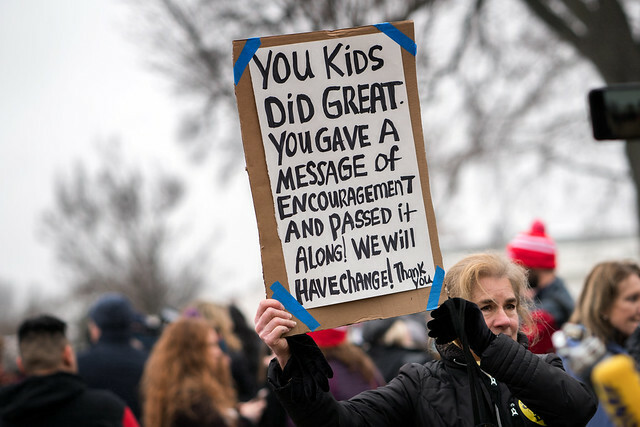 Which is to say: the survivors have already made a difference. From Black Lives Matter to Me Too, people who have survived, witnessed, or lived with vulnerability to violence have been recently creating platforms to speak out and push for change. Though the race of participants seems to be a factor in whether media coverage characterizes different movements as made up of passionate, precocious leaders or misguided, destructive rebels, many of the tactics are the same: online rallying and in-person mobilization to advance a particular message or cause. And, all have effectively brought a new visibility, poignancy and urgency to problems that have devastated individuals or communities for generations. From the perspective of survivor recovery, what can we make of this moment of the survivor-as-activist? Current theories on recovering from violent trauma suggest that survivors have the capacity to undergo posttraumatic growth, and that using their experiences for the common good can be a part of that process, whether through activism or supporting others who have survived similar victimizations or both. Movements for change have the potential to not only benefit society at large but also the individuals involved, as they connect with others who can relate to what they have experienced and take part in creating a different, better world. By no means is this intended to pressure any survivors to become activists, nor to value this type of recovery over any other. Survivors often feel a sense of obligation to put the welfare of others ahead of their own, when in fact it is a healthy and even a moral choice to care for themselves first and foremost. A survivor did not choose to be victimized, and the least that we can do is honor their choices in how to move forward. Furthermore, as any activist can attest, organizing under any circumstances involves stresses and strains that may be intolerable for certain people, particularly when posttraumatic stress is also a factor. Finally, timing is important. Trauma recovery is a long and often slow, non-linear process. People may find that they need to be further along in their healing before it is safe or sustainable to participate in activism. For certain people, at the right time and in the right circumstances, activism after violence can be a gift: to society, to future generations, and to themselves. Our gratitude is with all the survivors making change, along with our hopes for their own healing.